From the Classic Chain collection, this John Hardy piece elevates the beaded bracelet. 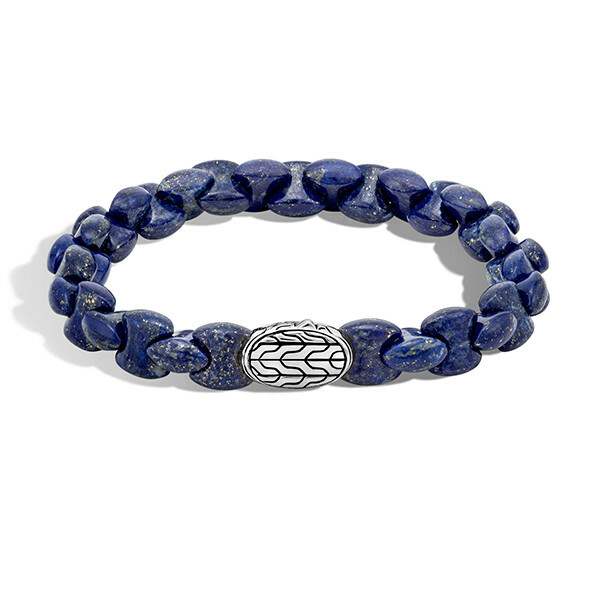 Interlocking beads are crafted from lapis lazuli and joined together to form this piece. A sterling silver station with the classic chain motif holds it together, and it also functions as the clasp. Color your world with a touch of John Hardy class.